It was also the elimination race for the Round of 16. Kyle Larson won the opening stage fairly easily, and then Ryan Blaney picked up the win in the second stage. But the last ten laps – wow. Following a restart with six laps to go, Brad Keselowski led everyone in the outside line straight into the wall in Turn 1 in a wreck that collected between eight (according to the NBC broadcast) and 15 (according to my Fronstretch colleague Mike Neff) drivers, many of whom were in the playoffs, including Kyle Busch and Kyle Larson. That put Martin Truex Jr. and Jimmie Johnson on the front row for the final restart, while Aric Almirola climbed frantically past the field to get above the playoff cutline. 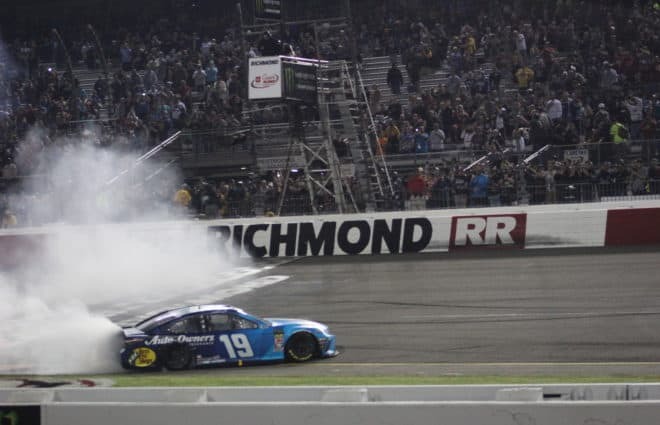 Coming into the chicane, Johnson got loose and spun, spinning out Truex, which allowed third-place Blaney to sneak through the smoke to take the checkered flag. Moments later, Jeffrey Earnhardt spun, which allowed Larson, running on essentially three wheels, to pinball his way along the wall and slip by the No. 96, which put Almirola, Johnson and Larson into a three-way tie for the final two playoff transfer positions. The Nos. 10 and 42 advanced, the No. 48 did not. Following Blaney was Jamie McMurray in second, Clint Bowyer in third, Alex Bowman was fourth, and Kurt Busch rounded out the top five. Finishing sixth through 10th were Chase Elliott, AJ Allmendinger, Johnson, Kevin Harvick and Joey Logano. 26 cars finished on the lead lap, 30 of the 40 entries were running at the finish. Stewart-Haas Racing‘s quadrivium of drivers have totaled 10 wins, seven poles, 35 top-fives, 38 top-10s so far this season, with 856 stage points, 15 stage wins, and 2,732 laps led between them. Even more importantly at this stage of the season, Almirola, Bowyer, Kurt Busch and Harvick are all still in the championship hunt. For Joe Gibbs Racing, it was an event for forget. Denny Hamlin tore up his car in practice and was never a factor, yet somehow was the best JGR car on the day as the No. 11 finished 12th and was eliminated from playoff contention. 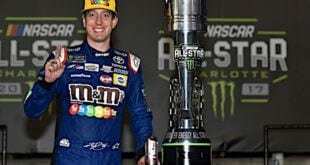 Kyle Busch was a major player at the front before being taken out in the Big One. Daniel Suarez has shown promise at road courses, but his Toyota was a patchwork of tape by the end as he limped home in 21st. Erik Jones destroyed his primary car in practice and had to win to advance, which didn’t happen, as he was the last car running in 30th. While SHR has trounced everyone else in the garage with their overall dominance, Team Penske hasn’t been too far behind. Their trio of Blaney, Keselowski and Logano have totaled five wins, two poles, 24 top-fives, and 40 top-10s so far this season, with 648 stage points, 14 stage wins, and 1,514 laps led between them. Even more importantly at this stage of the season, all three are still in the championship hunt. Another week, another nightmare for Roush Fenway Racing. Ricky Stenhouse Jr. was involved in at least two spins or incidents throughout the day, and was indirectly responsible for causing the Big One before exiting early in 37th. Stenhouse has only three top-10s to go along with an average finish of 20.2 and five DNFs, his third in the past month. Meanwhile, Trevor Bayne was behind the wheel of the No. 6 this week, and he got caught in the Big One, finishing 35th for his sixth DNF of the season. That dropped his average finish down to 24.3. Ty Majeski was driving the haunted No. 60 Mustang this week in the XFINITY Series and was involved in a wreck, though was able to soldier on to a 34th place finish. The No. 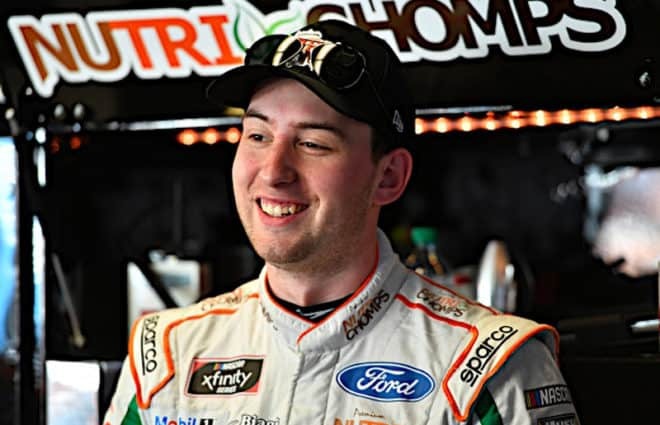 60 has 11 DNFs among its three drivers, two of which either have a win (Chase Briscoe) or three poles (Austin Cindric) while driving for the other two main Ford teams. McMurray and Allmendinger aren’t confirmed anywhere for next season, so their top-10 runs were great helps for their resumes, should either choose to continue in NASCAR. Allmendinger has a win, three top-fives and 6 top-10s at Watkins Glen as the series’ resident road-course ace, with another two top-10s at Sonoma, but JTG-Daugherty Racing is going with Ryan Preece in the No. 47 Chevy for the 2019 season. McMurray might be replaced by Kurt Busch in the No. 1 Chevy at Chip Ganassi Racing next season, and he’s come up big in the series’ spotlight races in the past. 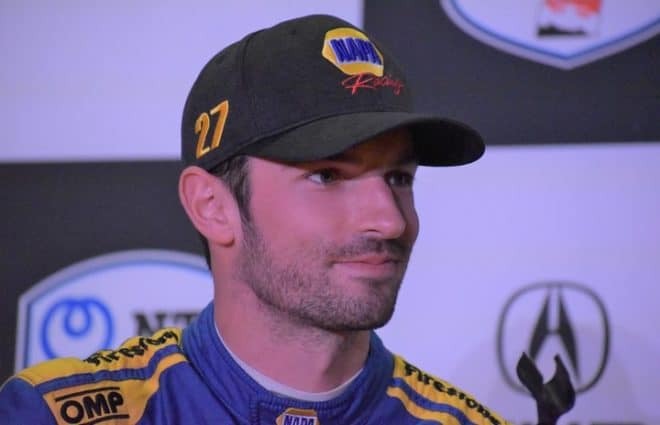 He’s also a decent road racer, with three poles, two top-fives, and three top-10s at Sonoma, and another top-five and four more top-10s at the Glen. William Byron inherited his No. 24 at Hendrick Motorsports from Kasey Kahne‘s No. 5, and he seems to have inherited Kahne’s luck, too. 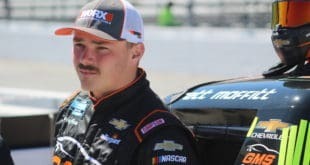 Yet another casualty of the lap 103 wreck, the leading Rookie of the Year candidate was scored at the end of the day in 34th after his seventh DNF, his third in the past five races. His average finish is 21.7, though he does have three top-10s on the season, with a best finish of sixth at the second Pocono race. The No. 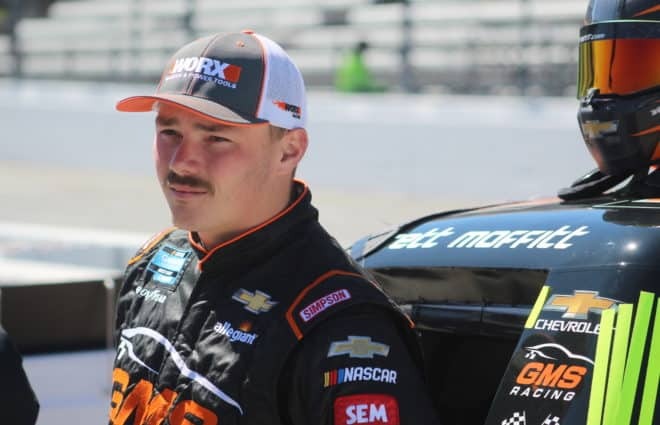 15 of Premium Motorsports was driven this week by road-course specialist Justin Marks, and wrapped in the black, white and various blue colors of GoPro in his final NASCAR start. 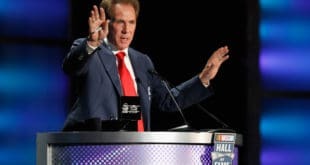 Marks finished 12th in the Daytona 500 this year, and competed in 79 events across all three of NASCAR’s national series during his career, winning in the XFINITY Series at Mid-Ohio for Chip Ganassi Racing in 2013. 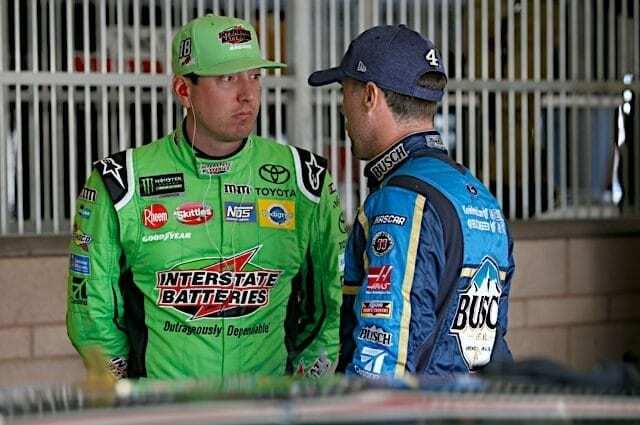 Marks drove in six MENCS races from 2013-2018, with a best finish of 12th, and typically drove for underfunded teams not willing to use their regular driver on a road course. He also drives sports cars and is a co-owner of the GoPro Motorplex go-karting facility in Charlotte. Huh? There’s already been a Gander Outdoors 400 this year at Pocono (Kyle Busch won in overtime). But since this is NASCAR, why not have two races with the identical name within the same season. 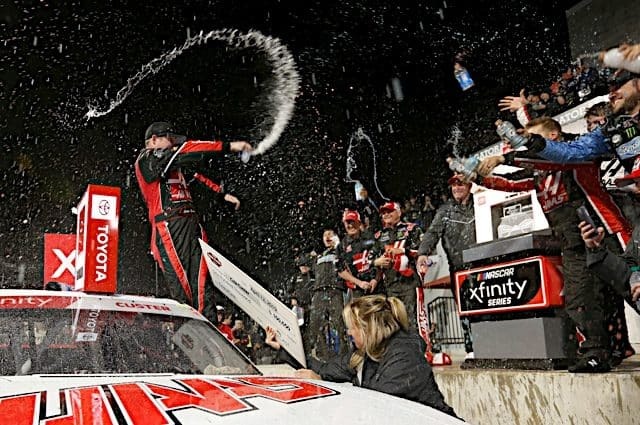 Harvick swept the stages and the first Dover race in May, he should easily be a threat to win, along with the Busch brothers, Clint Bowyer, Truex and Keselowski. Jimmie Johnson might be a sleeper pick, with 11 career wins at the track. The (Dover) Gander Outdoors 400 will go green around 2 p.m. on Sunday, Oct. 7, with TV coverage on NBCSN. Gimmick filled waste of a race. I guess what makes for excitement in Nascar these days is a mostly tame race which ends with a bunch of cars running into each other. Therefore giving the win to somebody who wouldnt have been in the same zipcode otherwise.